When you Google search: “church websites”, what comes up on the first page is a list of mega-churches that have the budget and resources to craft flawless sites that are high-tech, welcoming, and informative. The more you search through the results, the less impressive the sites seem to get. So why is that? It’s because most churches don’t have a large marketing budget, specialized staff, or the technical knowledge it takes to keep their online presence up-to-date with the latest digital trends. Most of the time, the person who does the “website stuff” in a congregation is a volunteer who anxiously raised their hand at a council meeting not knowing exactly what they were doing. 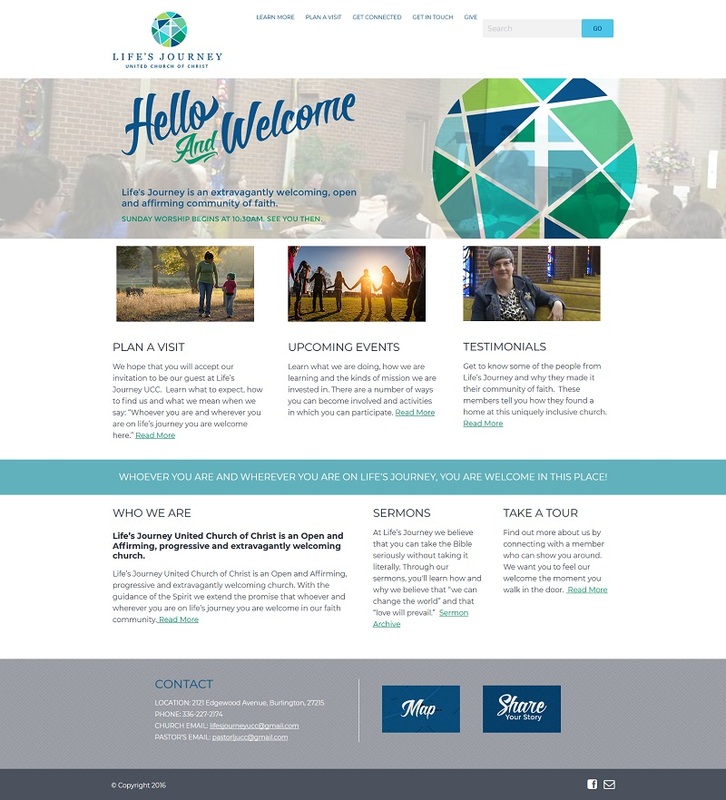 What we like about this site is their full width image and bold color choices in their “call to action” buttons (Worship, Learn, Connect, & Serve). The bottom of their site (called a “footer”) also has clear instructions if you want to contact them for more info. One of the first things you notice about this site when you visit is the video they use for their homepage background. 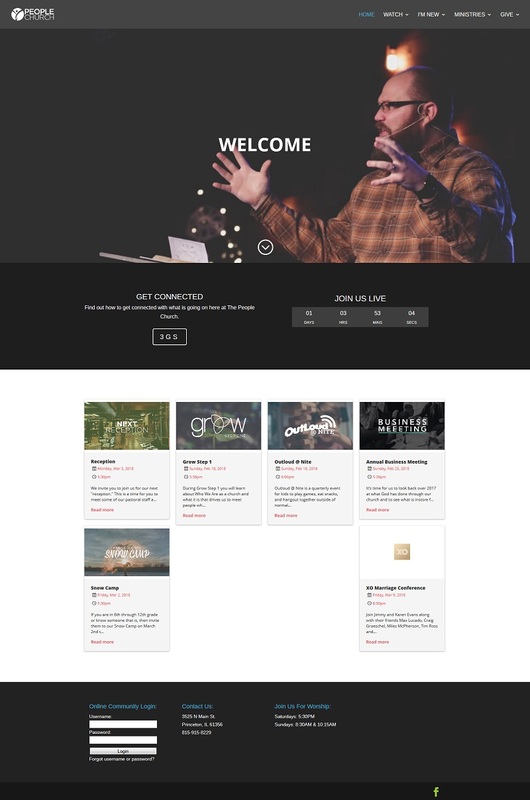 While this effect can often times be distracting to the viewer, The People Church uses short clips that rotate quickly as an effective part of their design. We also like the calendar grid that lets visitors know what’s going on and how they can become involved within the congregation. One of our favorite’s on this list (okay – we may be a bit biased because this is one we designed! 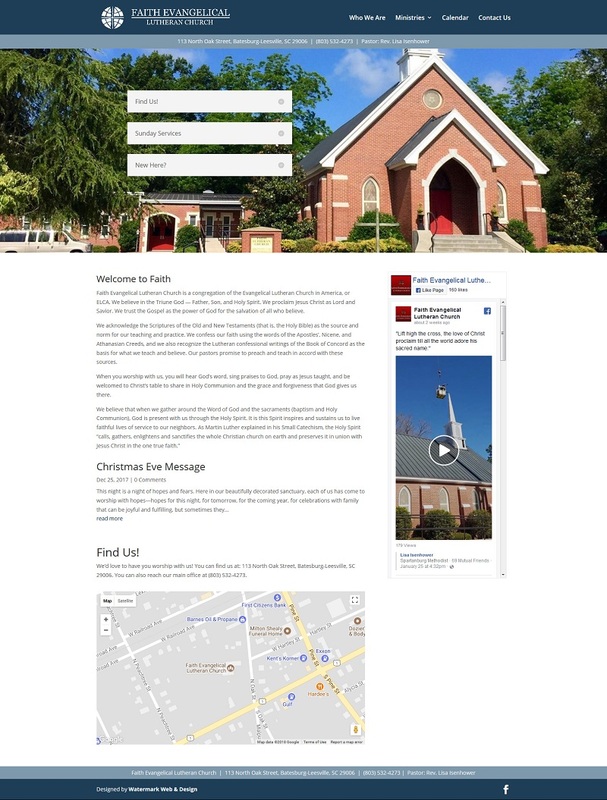 ), Faith’s site features a prominent header photo and easily navigable content below. 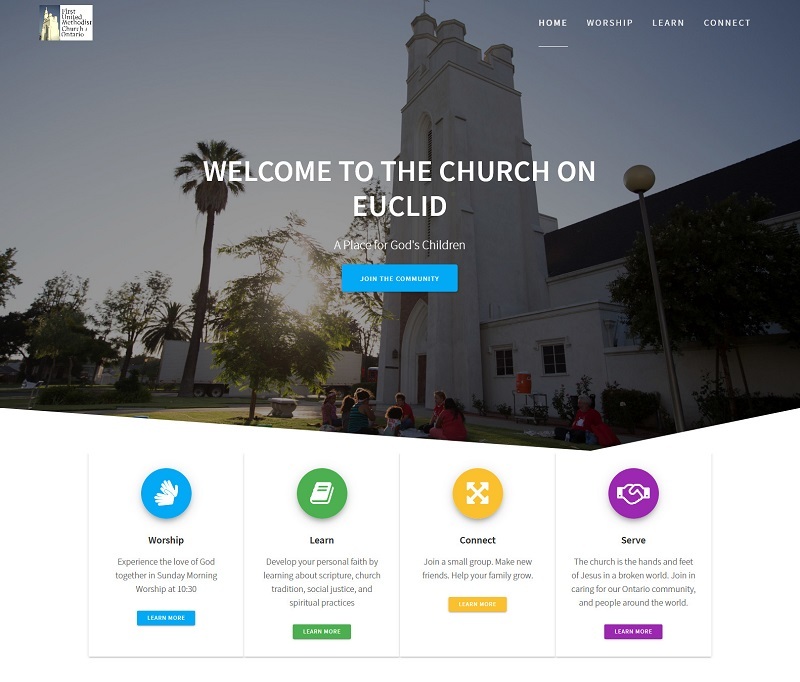 Their site also displays their Facebook news feed that keeps visitors up-to-date with all the latest news and events of the congregation. Another key feature of the site is letting visitors know how to find them. Their street address can be found in several places and visitors can click on the embedded map to get turn-by-turn directions. Feeling inspired? Feeling overwhelmed? Either way – we’d love to help! Having a great website doesn’t require a large investment of time and money. 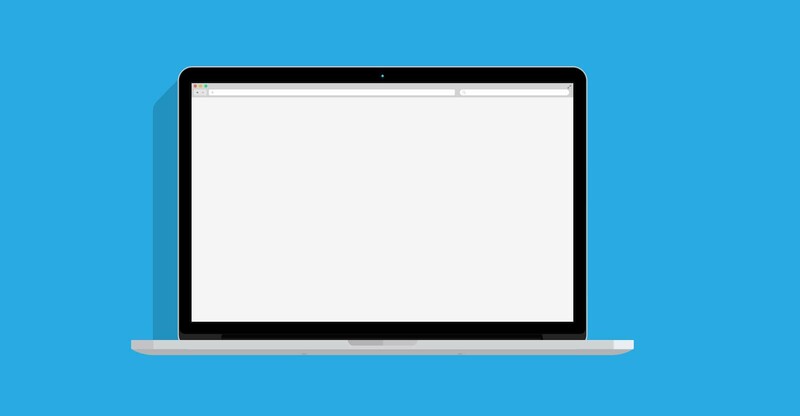 We’d love to show you how easy setting up (or updating) your new website can be. Contact us today! *Just for fun – here are a few examples of hilariously terrible websites. Enjoy!